When Alex was born her pediatrician used a pediatric checklist for children with down syndrome as his healthcare guidelines. The checklist was provided by the American Academy of Pediatrics and helped the doctor identify recommended extra testing, as well as developmental guidelines. I assume these check lists are used all over the world. They should be. I appreciated his ability to be able to provide comprehensive healthcare for Alex. As needed, he sent us to all the right specialists: cardiologist, audiologist, ophthalmologist, pulmonary specialist, endocrinologist, nutritionist and others I am sure I have forgotten. We were, and still are, confident in our healthcare. I thank advances in scientific research for this confidence. One thing I did learn on my own; don’t believe everything you read or hear about kids with down syndrome. Guidelines are only guidelines. All of our kids are different in so many ways. 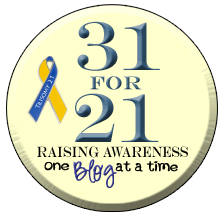 An extra chromosome does create many of the same issues with all of our kids, but that is only one of 47 chromosomes, 2.13% percent. As mentioned, stated, and declared, I am concerned about Alex's weight. She is 4'10'' and 141 pounds. If she goes on at this rate she will become obese, and unhealthy. It is my biggest concern non-academic concern. It is a fact; many adults with down syndrome are shorter and heavier than their peers. However, I have met adults with down syndrome who are taller, thinner and healthier than me. Not that I am tall, thin, or healthy, but this tells me that our 46 other chromosomes, as well as our environment, must also play a role in our children's future stature. According to these charts, Alex is in the 95th percentile in height and weight. She is at the high norm for other teenagers with down syndrome. One might think that a good thing….not me. This is unacceptable. Alex sneaks food and coerces others into giving her snacks at school. She drinks soda, eat chips, and loves gatorade despite the banning of such items in our house. There is no reason Alex should be in the 95th percentile in weight. 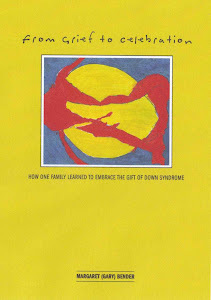 I have learned a lot over the last 16 years about down syndrome and my daughter. Some of the things I learned I discarded, as either incorrect (outdated) or irrelevant in regards to Alex. I learned that guidelines are guidelines only; good to determine baselines and goals, but not the absolute. I am appreciative of modern science and down syndrome research. I am thankful for all the information that is available to parents and healthcare professionals. It has made our lives so much easier. But, as a mom, I know Alex is overweight, no matter what the guidelines state...the weight battle will continue.